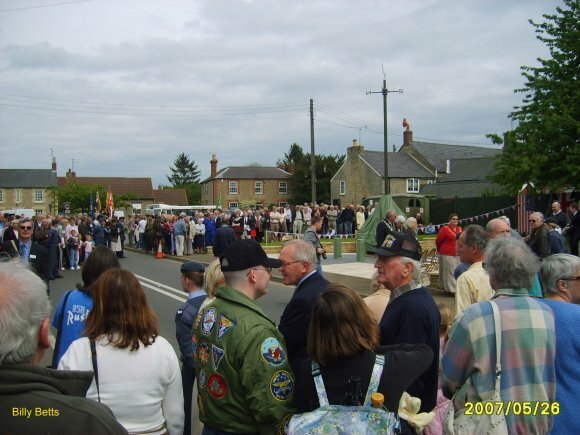 The dedication service of the memorial to the 305th Bombardment Group (Heavy) was held on Saturday 26th May 2007 (i.e. near to the American WW2 remembrance day). 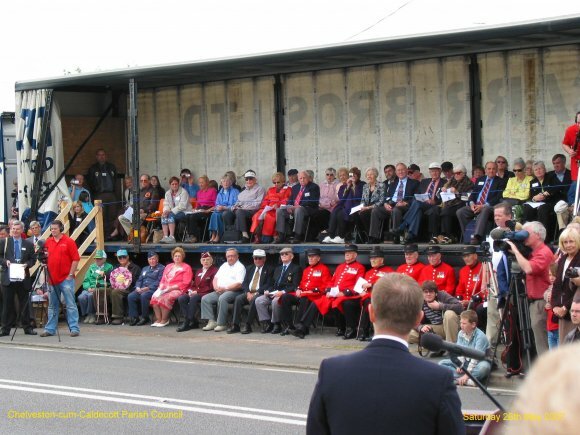 15 US veterans and 39 family members came over to attended the service, watched by approx. 400 members of the public. The service was conducted by the Rev Canon Grant Brockhouse (the then parish priest), with Cllr Adrian Dale (the then Chairman of the Parish Council) as the Master of Ceremonies. 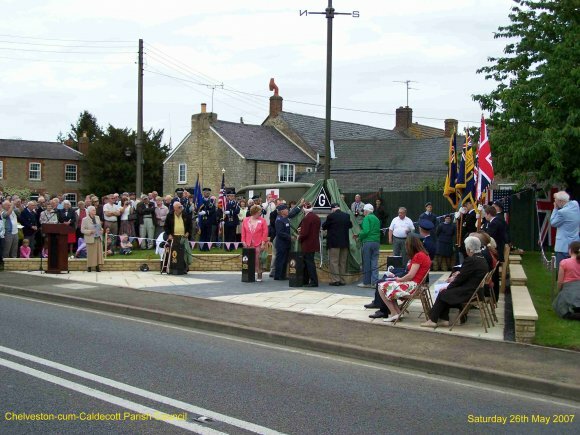 Honour Guards and Standard Bearers included the 423rd Air Base Group, USAF, 858 Air Training Corps (Rushden) Squadron, Raunds & District Royal British Legion and Yaxley & Huntingdon branches of the Royal Air Force Association, plus a trumpeter from the Raunds Temperance Band. Order of service for the 305th Bomb Group Memorial Dedication Service. 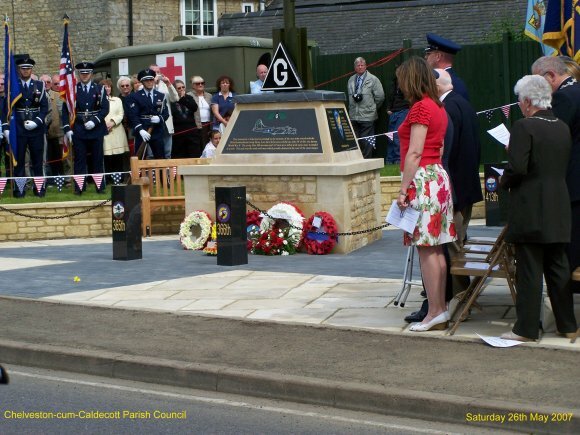 Opening and welcome speech by Adrian R Dale, as Chairman of the Parish Council at the dedication service of the 305th Bomb Group Memorial. Speech by Stanley J Soderbloom as 2007-8 President of the 305th BGMA at the dedication service of the 305th Bomb Group Memorial. Proclamation by Carl D Peterson at the dedication service of the 305th Bomb Group Memorial. 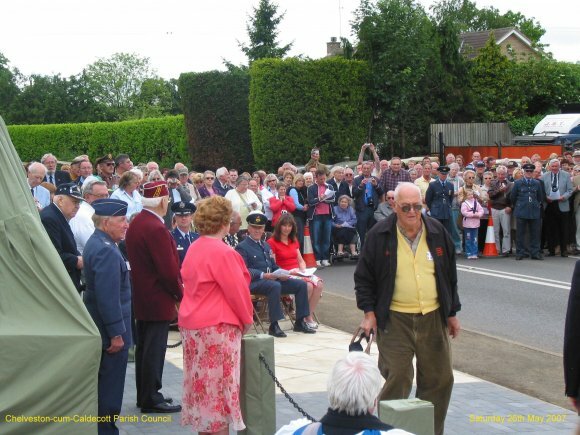 Speech by Group Captain Steve J Lloyd RAF (Rtd), Deputy Head of the Air Historical Branch, RAF, at the dedication service of the 305th Bomb Group Memorial. Speech by Col Jack L Jones, base commandeer 423rd Air Base Group, USAF, at the dedication service of the 305th Bomb Group Memorial. 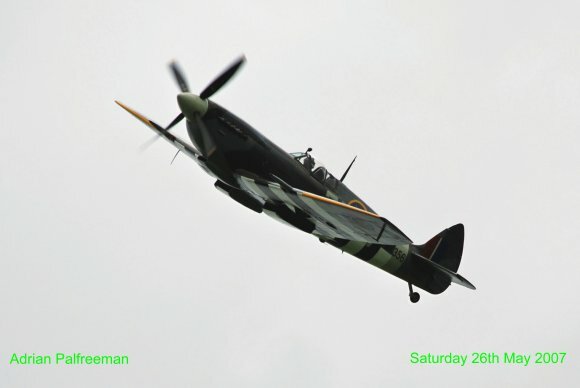 Spitfire flypast over the veterans on the airfield. 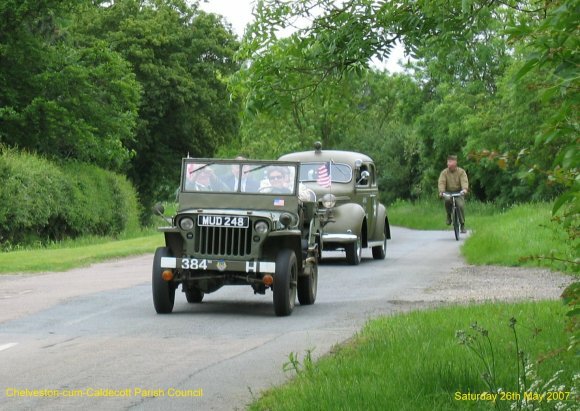 Veterans travelling by WW2 vehicles back from the airfield to the church service. 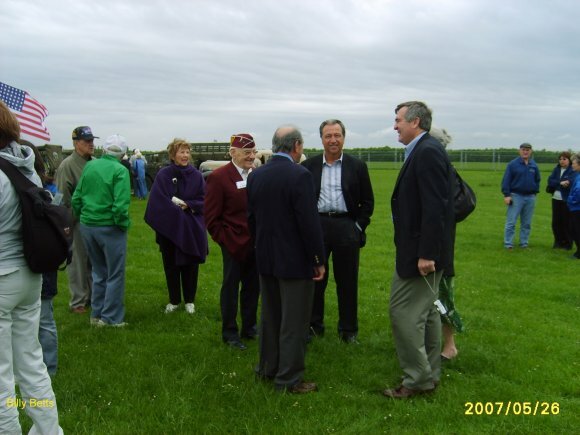 Veterans coming forward to uncover the memorial and squadron posts.